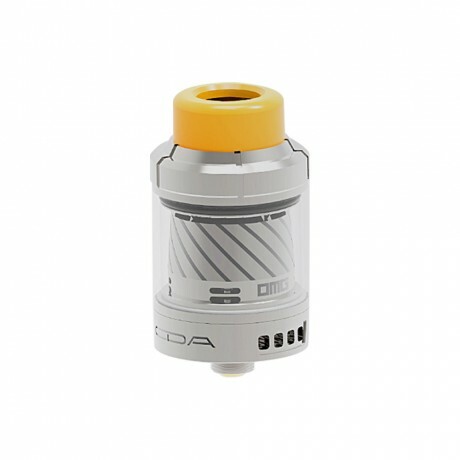 Ijoy Combo SRDA is the first pre-made coil RDA, which is a subversive innovation of RDA, with revolutionary significance. No need to build coils by yourself. The Combo SRDA can be disassembled, cleaned and replaced the cotton with special wrench equipped to achieve the purpose of repeated use. Side airflow control and cloudy vapor. It comes with wide bore 810 ultem drip tip, dripping compatible. The bottom is equipped with gold-plated squonk pin, which can be used with squonk box mods. Introduce you the latest pen-style vape kit form Innokin - the JEM/GOBY, which consists of a 1000mAh internal rechargeable battery and a 2ml TPD compliant atomizer. Featuring a stylish appreance with a compact size, it feels comfortable and looks nice in the hand. The battery is quite simple to operate, supporting 5 level wattage options (10W/11W/12W/13W/13.5W). And the tank comes with convenient top filling & adjustable airflow control and uses a 1.6ohm coil that will brings you superior mouth-to-lung vaping experience. 5 beautiful colors for your choice. Differing from the conventional e-cigs, SINUOUS RAVAGE230 impresses us with its 1.45inch large color display and updated centered 510. Powered by dual replaceable 18650 cells, SINUOUS RAVAGE230 is able to output 200 watts and has 2A quick charge capability. Featuring the convenient top filling solution with childproof lock system and refined airflow control, the GNOME Evo that packs improved WM01 coil for optimal flavor provides you with 2ml/4ml options. Exquisite, stylish yet powerful, the SINUOUS RAVAGE230 can offer you more than you can imagine. Feel free to use “AHG15” to enjoy a 15% extra discount. Introduce you a new squonk mod from Arctic Dolphin, namely Cera, which is a powerful mod by single 18650 battery. Made of high quality ABS and PC, this Arctic Dolphin Cera is light in weight but very durable. It features new lockable fire switch, which can prevent the accidental auto-fire so as to provide a safe vaping experience for you. Together with changeable outer shell with DIY 3D printing, strongly magnetic battery cover and food grade silicone bottle, its performance is beyond your imagination. Moreover, it is worth mentioning that the price is cheaper than any other squonk mods. It’s pre-order at heavengifts.com now. You can get one only at $24.06 by using the 15% off code “AHG15”. Many of us out there don’t get hands on RDA yet. The biggest concern were the building and wicking problem though the flavor is purer than other tanks. Well, this is no longer a fuss from now on. 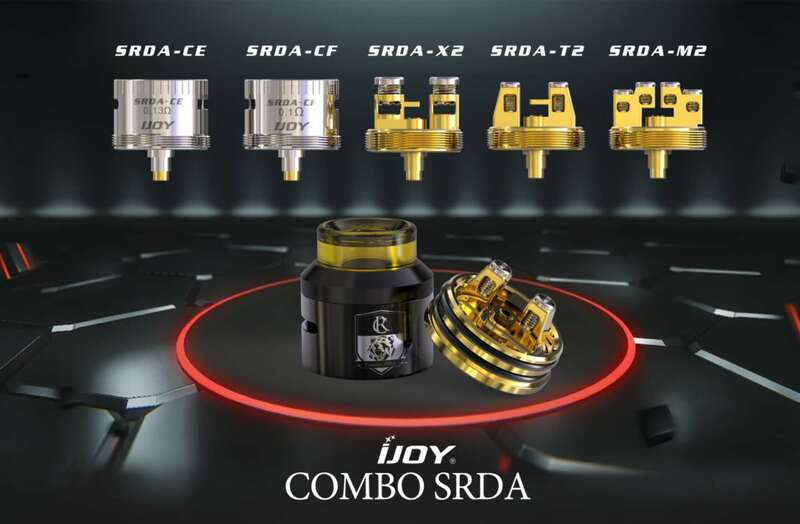 Ijoy presented its new concept RDA to the market-Ijoy Combo SRDA.The dripper features many interchangable decks to fits vaious kinds of vapers’ needs. Never chuck cloud by a dripper? How easy it could be? Zophie Vapes gave the answer! Other than this, we just got news from Ijoy, they also released a few interchangeable RTA decks for SRDA.Good news for build enthusiasm，TC lover, Mech mod users! After the hot Ijoy Captain PD270, Ijoy brings us a new mod with a different design, EXO PD270. The EXO PD270 features a classy chassis design with personalized side of big fire button and big OLED screen. The slide away dual RGB LED light make for a unique user customization and easy to operate. Onboard support for Nickel, Titanium, Stainless Steel, and A comprehensive temperature control, suitable for various of atomizers in the market even no overhang with 25mm tanks. Humanization service of equipped with dual 20700 batteries provided , USB port charging support & firmware upgradeable make it worth to buy.The overall capability alongside an easy to use interface and elegant appearance, makes the EXO PD270 BOX MOD an excellent choice for all vapers! Feel free to use “AHG15” to get an extra 15% off discount. Introduce you 3 new TC box mods from Aspire - Typhon, Speeder, and Skystar, which all feature a beautiful appearance and compact size. The Typhon adopts a 5000mAh large internal battery, supporting a max output wattage of 100W with with high performing VW/ VV/ Bypass/ CPS/ TCR modes. It also comes with a 0.69 inch OLED screen for clear data display and micro USB port for quick charging & firmware upgrading. The Speeder comes with high end real leather finish and various working modes. Powered by dual 18650 batteries, it can fire up to max 200W. A large 0.96 inch OLED screen is able to rotate the display for easy data checking. The Skystar features a 1.3 inch responsive touch screen that makes the operation easier than ever and also supports real time clock function. It runs on two 18650 batteries with a max output power of 210W. USB charging & firmware upgrading are also available with the Speeder and Skystar. 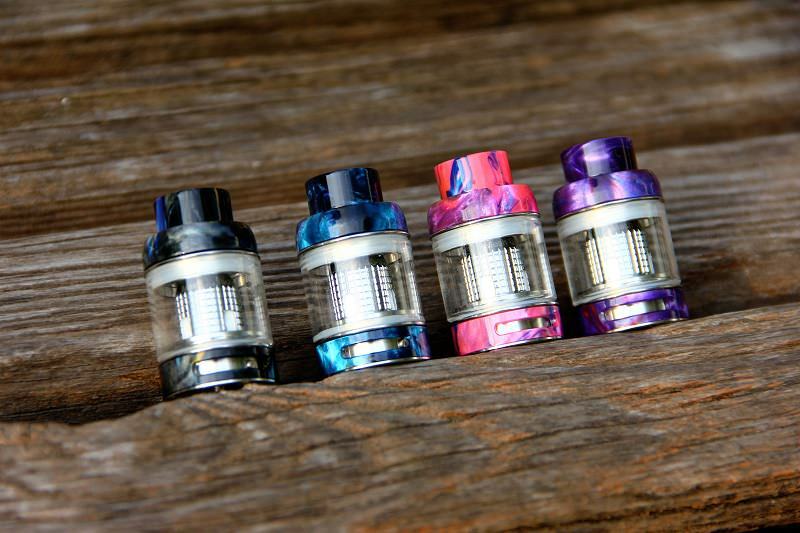 For these three new devices, Aspire also introduce a new tank to pair with them, namely Revvo, which includes a 3.6ml standard version and 2ml TPD edition. It adopts an all new flat radial coil that is claimed to bring better flavor and vapor production. It sits horizontally in the tank similar to a “stove-top” design and increases the coil surface area greatly. The Revvo Tank also features an adjustable top airflow design and easy top pressing filling system. It matches perfectly with the above three TC mods, bringing you enjoyable vaping experience. Introducing you the new kit from Vaporesso, Transformer Kit. The Transformer is a really multi-purpose device for vapers with fun, brings the interaction into vaping with its all-metal case fully replaceable, creating different looks that you like. A variety of colors and authentic precision covers maps your taste. The optional lighting version will make your vaping shinning and fun! Its masculine 510 interface holds the NGR tank secure and presents the power while the leather hand grip brings outstanding feel! Most up-to-date chipset OMNI Board 2.6, features the simplest operation with the newest addition of graphical virtual keys, unlock buton, puff counts and high power protection function for small power atomizer.The whole kit is worth your trying! Feel free to use “AHG15” to get an extra 15%off discount. 2017 Christmas & New Year Sale Event Starts Now!Free Shipping Possible! Recently many brands released mesh RTAs/RDAs which bring on discussion in the community. Some experienced builders gave positive comments, while some thought mesh coil building is a little bit tricky. To cater for all vapers who are interested in mesh coil but not good at building, Freemax introduced their first sub ohm tank that uses a mesh coil, namely Fireluk Mesh which comes with 24mm diameter and 3ml juice capacity. It adopts convenient top fill design and easy-to-adjust bottom airflow system. The mesh coil is made of kanthal mesh and 100% organic cotton, 0.15ohm resistance, supporting 40w to 90w power. Compared to traditional wires, it has larger surface area that allows it to heat evenly and absord e-liquid effectively, delivering unrivaled flavor and vapor clouds. Moreover, you can chain vape on it with no problem at all and use it for a longer time. Overal, this new Fireluk Mesh tank is a groundbreaking product that will satisfy sub ohm tank users and chain vapers. It will be coming soon at heavengifts.com. Please stay tuned and grab one if you like it. 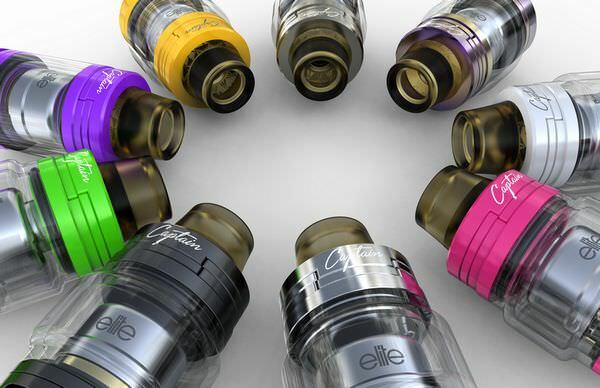 Introducing you a new concept tank from OMG, CDA RTA. It adopts an unique spin buckle design for RDA/ RTA mode just by closing or opening the oil hole which is easy to operate and brings different vaping experience. Together with bayonet-type top filling design for never leaking, precisely adjustable bottom airflow control with eight air holes and a powerful dual coils build deck for various trick coils. Now it is 3 colors available: Smart Blue,Phantom Black,Power Silver. Feel free to use “XMAS30” to get an extra 30%off discount. With the popularity of squonk mod, the demands of squonk bottle is sharply increased. A good squonk bottle can bring users better squonk vaping experience. Today we introduce you such kind of bottle, Silicone Squonk Bottle V2 from Arctic Dolphin. Same as the first generation bottle, it’s made of high quality silicone, which is softer, more responsive and more hard wearing than any other thin plastic alternatives. But it also has a great improvement over the original one-two holes on the stainless steel cap, one is for refilling and the other is for venting. With the unique design, you can directly refill through the hole instead of taking it off or via 510 connector, much more convenient for every squonk fan. And you can close the two holes by rotating the cap ring. Available in 7ml round bottle and 8ml square bottle. 6 attractive colors for you to choose. It’s pre-order at heavengifts.com now. You can get one only at $9.44 by using our Christmas 30% off code “XMAS30”. airflow and outstanding flavor, the Blitzen is a must have RTA of 2018. Introduce you a new powerful device, the Vapecige VTX200, featuring a really nice looking and solid built material. It’s made of high-quality ABS material and adopts a rubber paint body finishing, which makes the device extremely lightweight and gives a soft hand feeling. And the amazing part is that it comes with a 3D clown pattern on the battery door, 5 cool designs for your choice. Powered by dual 18650 batteries, this VTX200 can fire up to 200w max and also supports various TC wires & bypass mode. In addition, it comes with a 0.9 inch TFT color screen for clear data display and a micro-USB port for quick charging & firmware upgrading. 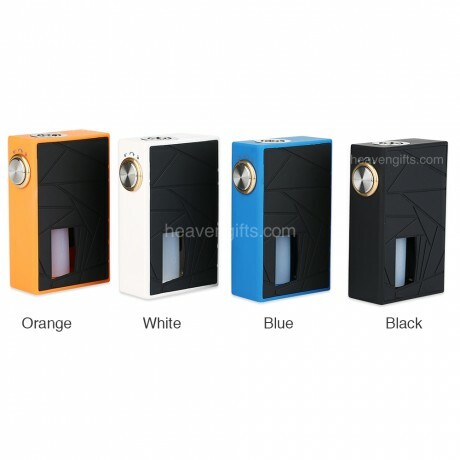 If you wanna grab a cool, powerful and light TC box mod, this Vapecige VTX200 is worth a try. CAPTAIN ELITE RTA, the new-designed MINI single coil RTA, adopts unique way of bottom sides airflow to the coil directly, innovating the new way of single coil RTA, allowing good flavor of single coil and huge clouds. The Sliding top fill design for more convenience and the filling O-ring is replaceable to prevent leaking. The ELITE RTA is a versatile and powerful RTA with compact and small size, cool color and gold-plated deck for very good conductivity. Here comes another high end box mod from GRRS - the 222w VBOY, an upgraded version of the previous 200w VBOY, featuring an excellent YiHi SX520 chipset. Featuring a boxy shape with a large fire button on one side, it’s comfortable to hold and convenient to operate. Powered by dual 20700 batteries, it can fire up to a maximum output of 222W and supports various TC wires & work modes. This new 222w VBOY also comes with a battery adapter that allows it to use dual 18650 batteries. With A clear TFT IPS full-color screen on the front case of the device, it will bring you amazing visial enjoyment. Being a high end device with nice looking & good performance, this VBOY 222W deserves your collection. 2018 is coming soon! New year, new life. For smokers, finding a suitable vaping gear to make a successful switch is no doubt a good start. Maybe someone still can’t take the first step because of some concerns that starter kit can’t give you the same pleasure as cigarette does. Then you are wrong. The newly released SMPO AIO is a special one, highly commented by many big youtube reviewers. Why? Please follow them to experience its charming. IndoorSmokers: Amazing vapor production from this tiny device. The flavor, the throat hit and everything about are just like cigarette. VapnFagan: Well-made little device. Comfortable mouthpiece. Nice sealed closed system, no leaking issue. A nice strong throat hit. And the tobacco flavor is amazing, very shocked. Here is the link if you want to buy: https://www.heavengifts.com/product/SMPO-Kit.html. Only $22.95 by using our 30% off Christmas code “XMAS”.